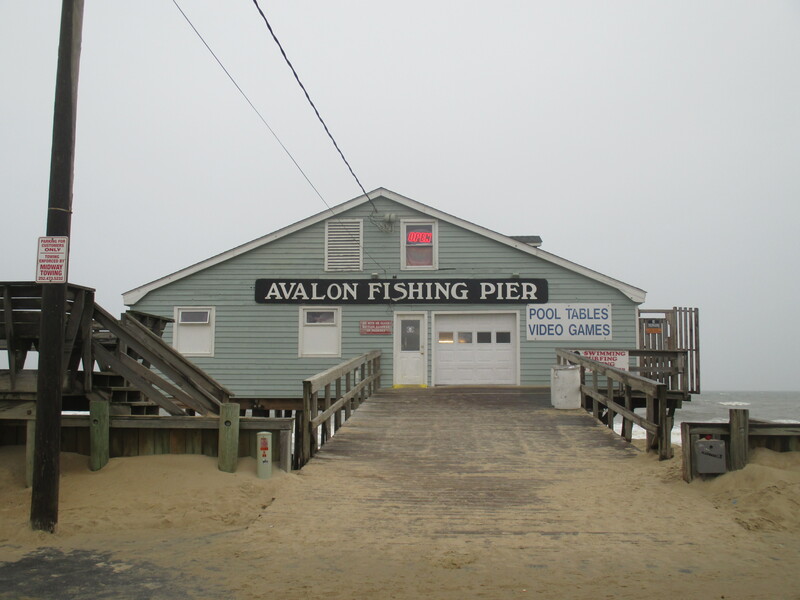 Avalon Fishing Pier | Capt Tony's "Walkingangler.com"
NO FISHING LICENSE NEEDED ON THIS PIER. Fishing: This pier is 696 feet long and boasts to be one of the most popular piers on the Outer Banks. Many trophy size species have been brought over the railings. The anglers come from all walks – both novice and frequent pier rats”. Know how to fish or want to learn how to fish – well this is the place!! Amenities: The pier has a full service tackle shop on site. The pier was recently re-build after a recent storm. There are several benches available on the pier as well as several fish cleaning stations. They also have a small snack bar which carries a variety of food and beverages for sale. The pier house has a large collection of arcade machines and gift shop for t-shirts and souvenirs. There is plenty of parking available but limited for pier visitors and anglers.